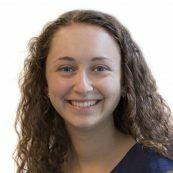 Molly Wartenberg is a Program Coordinator at PYXERA Global where she assists in program management of Global Pro Bono projects. Prior to joining PYXERA Global, Molly interned for the Bureau for Legislative and Public Affairs at USAID and Development Transformations, a federal contracting firm specializing in post-conflict areas. In 2014, she spent a semester studying and interning at a local grassroots NGO in Amman, Jordan. Molly holds a BSFS in International Politics and Arab studies from the Walsh School of Foreign Services at Georgetown University. She is proficient in Arabic.